"Beautiful product with great sound. A welcome replacement for the old Tarnsonic radio I had in the office that wouldn’t stay tuned! 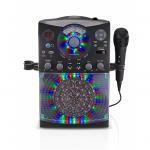 Very easy to use unit, tunes into all stations easily. Didn’t..."
"THANK YOU FOR THE GREAT SERVICE ." Advanced 6.5cm full-range unit speakers are enclosed in a smooth wooden body which enhances the quality of the sound output. Special insulators and a bass reflex structure produce robust bass that is truly unexpected from such a small, unassuming unit. The 6.5cm speakers and bass reflex port are crafted using sound technology accumulated by Panasonic over years of audio expertise. The wood used in creating the D100BT is the same as that used to make violins and other wood-based instruments for rich, robust bass, and crisp medium-high-frequency sounds. The rounded form also prevents unnecessary resonance which degrades sound quality. The D100BT incorporates an audio DSP (Digital Signal Processor) to efficiently digitalise audio data without losing sound quality. 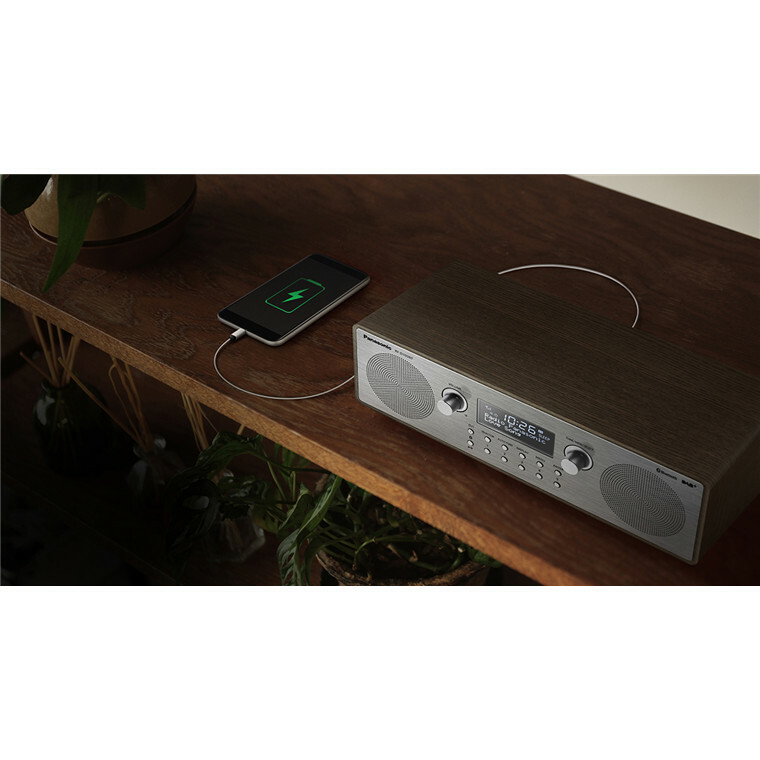 This lets you enjoy radio, Bluetooth, and other sound sources with high-quality sound that isn't possible with a conventional radio. 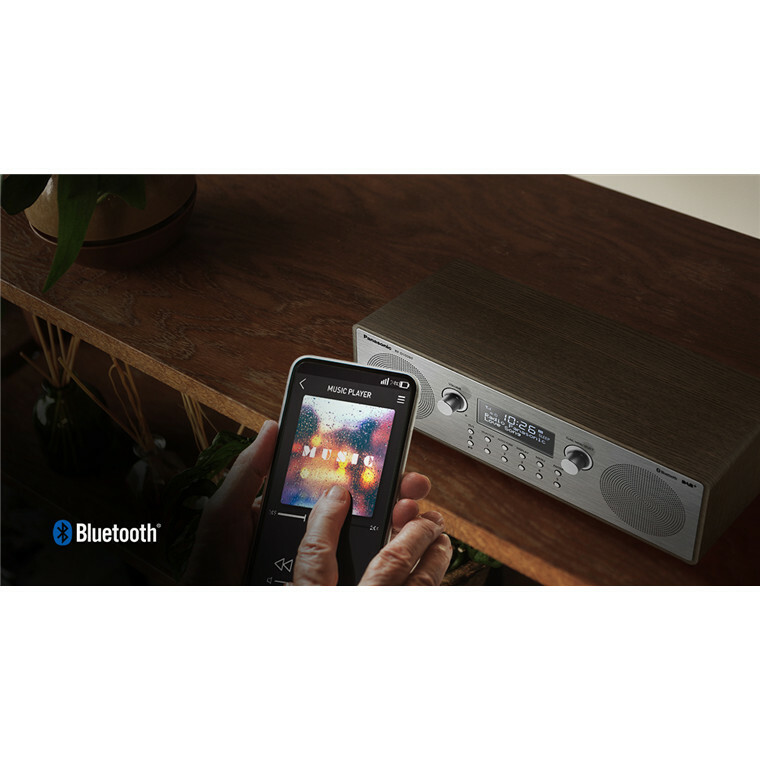 The D100BT supports Bluetooth's audio streaming file A2DP (Advanced Audio Distribution Profile). This expands your music content. It also supports remote control functions with AVRCP (Audio/Video Remote Control Profile), so you can operate the music on your smartphone with the D100BT. * Operation is limited to Play and Pause. * Note that some mobile phone models cannot be charged. The D100BT comes with all the smart essentials you should expect from an audio unit and more. Functions include alarms, snooze capabilities, sleep mode, and kitchen timers. 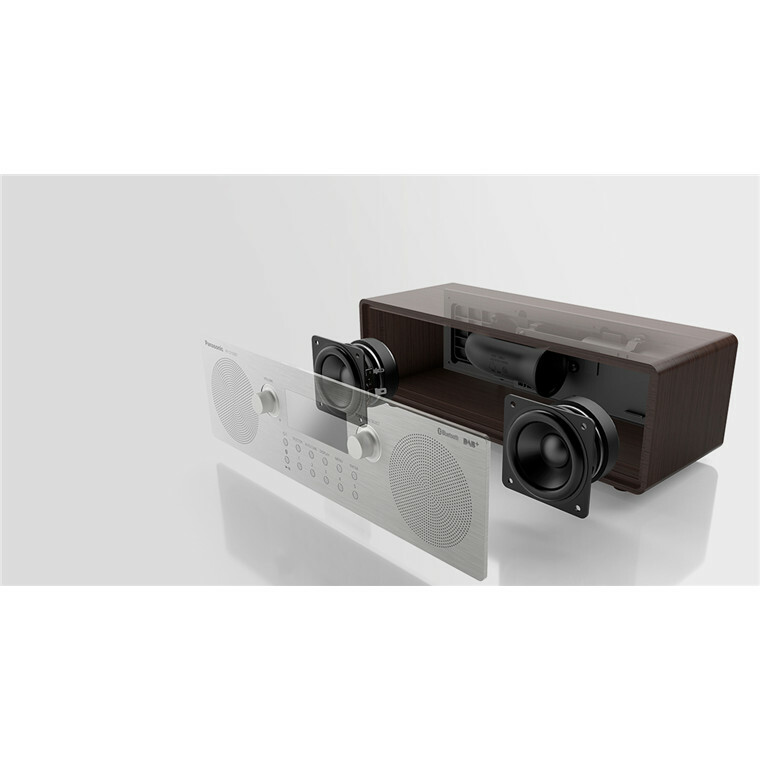 With the ability to conserve energy as needed, this is a clever audio system. Enjoy various settings to suit your musical tastes. Five sound equalisers let you fine-tune the audio output to your preferences while Memory Tuning allows you to register your favourite radio stations. 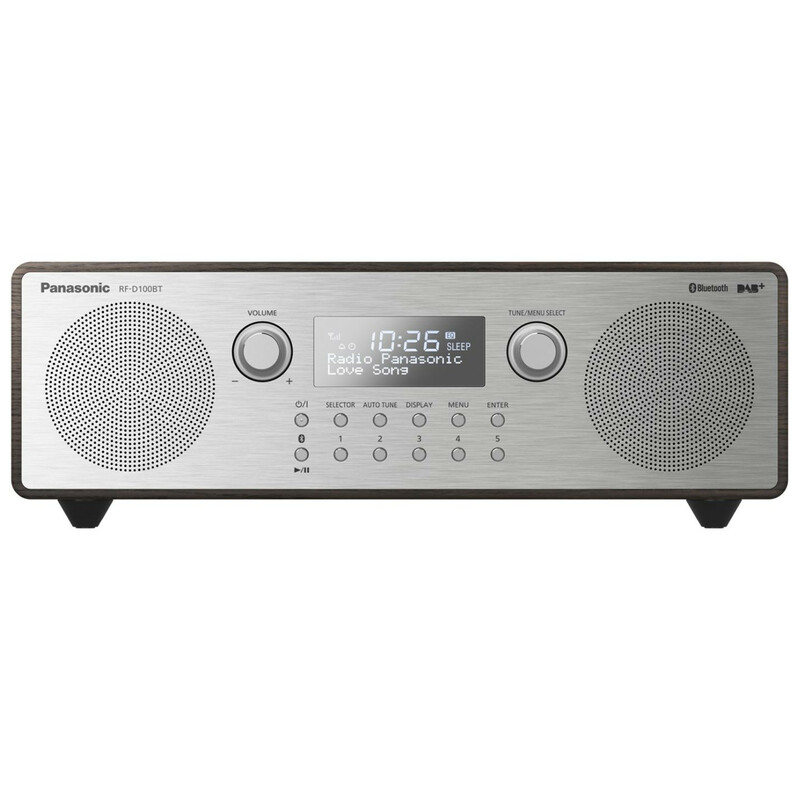 In addition to FM radio, the D100BT delivers a wide variety of music sources. 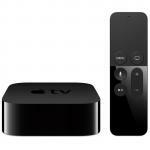 This includes DAB/DAB+ access to versatile radio stations, Bluetooth connection for transferring music from a smartphone, and AUX connection. Beautiful product with great sound. A welcome replacement for the old Tarnsonic radio I had in the office that wouldn’t stay tuned! 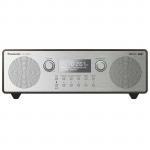 Very easy to use unit, tunes into all stations easily. Didn’t realise it was FM only so that was a bit disappointing as there are a couple of AM stations I like to listen to at times (Radio Sport, Magic (for 3 news)). Costly at recommended retail price, would wait for a decent discount to buy.Beautiful product with great sound. A welcome replacement for the old Tarnsonic radio I had in the office that wouldn’t stay tuned! Very easy to use unit, tunes into all stations easily. Didn’t realise it was FM only so that was a bit disappointing as there are a couple of AM stations I like to listen to at times (Radio Sport, Magic (for 3 news)). Costly at recommended retail price, would wait for a decent discount to buy. Nicely made product (as you would expect from Panasonic) spoiled by dumb software, dumb UI and very limited ports. View MoreNicely made product (as you would expect from Panasonic) spoiled by dumb software, dumb UI and very limited ports. 4 x 2A USB ports on the device would have made it much more useful. In summary, significant design FAIL! THANK YOU FOR THE GREAT SERVICE .THANK YOU FOR THE GREAT SERVICE . 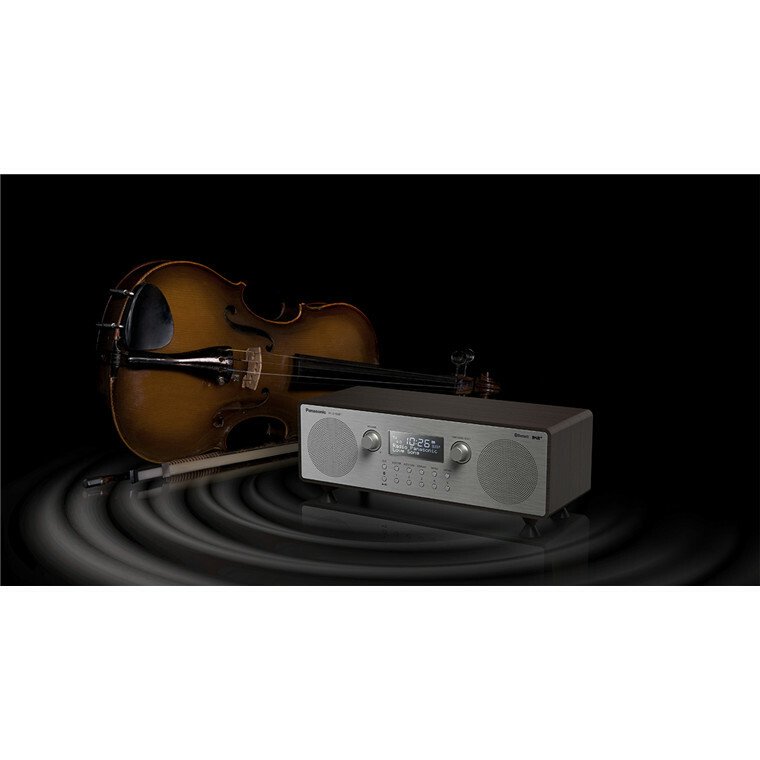 View MoreExcellent Radio and it is Stereo despite what another reviewer has stated. Some stations like National Radio don't broadcast in Stereo. In the LCD display to the right of the Signal sensitivity the "RDS" letters are displayed indicating a Stereo station. Note not all MUSIC is not in Stereo eg not till early in 1970's in NZ did stereo recordings become available. The Concert station and other music stations are Stereo. The Headphone jack on the receivers back is also stereo. The Radios sensitivity is very good. If a Station is low in signal the Telescoped antenna can be extended out. The Receiver has a Classical look which I like with a wood grained outing. The receiver has all the modern stuff including "bluetooth" and USB phone charging. There is a jack to input sound from an external source. The radios menu and features are very easy to use and operate without consulting the manual. The LCD has a 3 step dimmer. Great sound quality and there are 5 quality settings to suit all flavours. Who cares about DAB It may be in UK but in UK but its not here in NZ. FM is NZ radio standard. 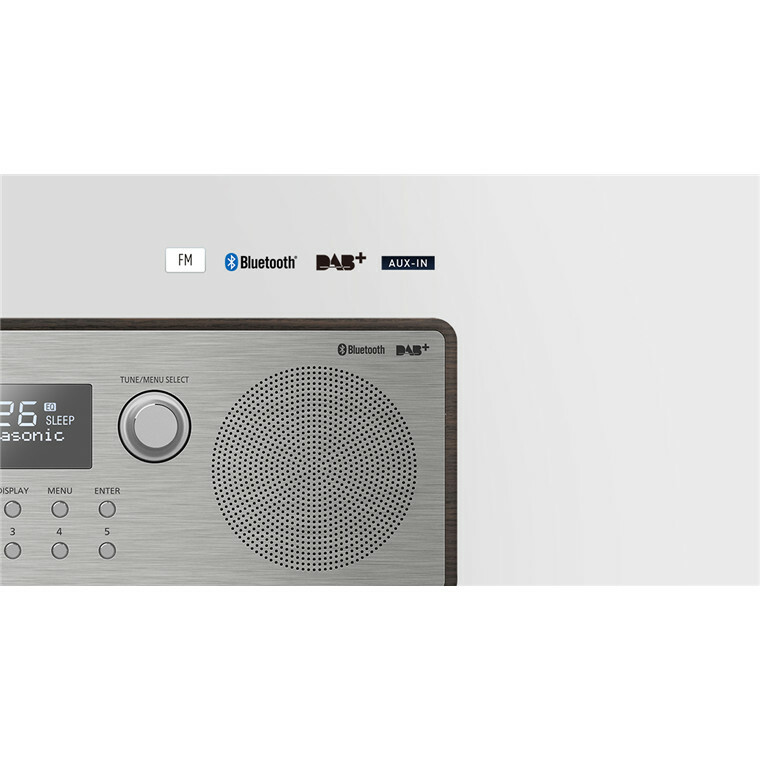 FM mono (not stereo) and DAB/DAB+ which is not available in NZ.FM mono (not stereo) and DAB/DAB+ which is not available in NZ. PB Tech price: PB Tech price: $169.00 ex. $194.35 inc.